This forever freebie is the first of five levels of Dolch sight words in the elementary classroom. The purpose of this set is for students to be given a word to identify and to slap or high five it as they leave or enter their classroom. 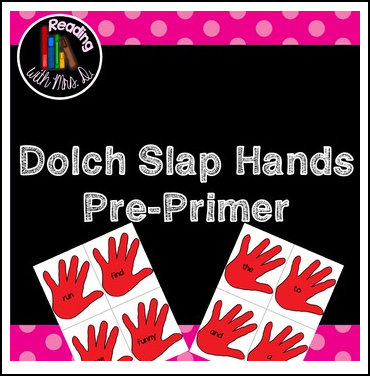 Students use these Slap hands to "slap" a given code word as they exit and enter the classroom. Could also print two sets and use for your various memory games. I suggest putting a few up from different levels for differentiated learning. But you may use however you see fit.